Wildwood Konik Foal. Wildwood Trust image. 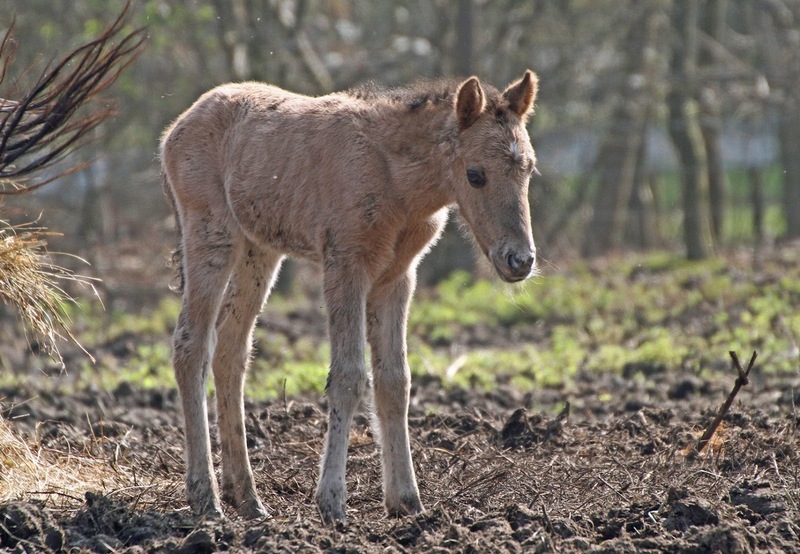 Wildwood Discovery Park, Herne Common, is celebrating its first spring baby, a beautiful Konik foal. 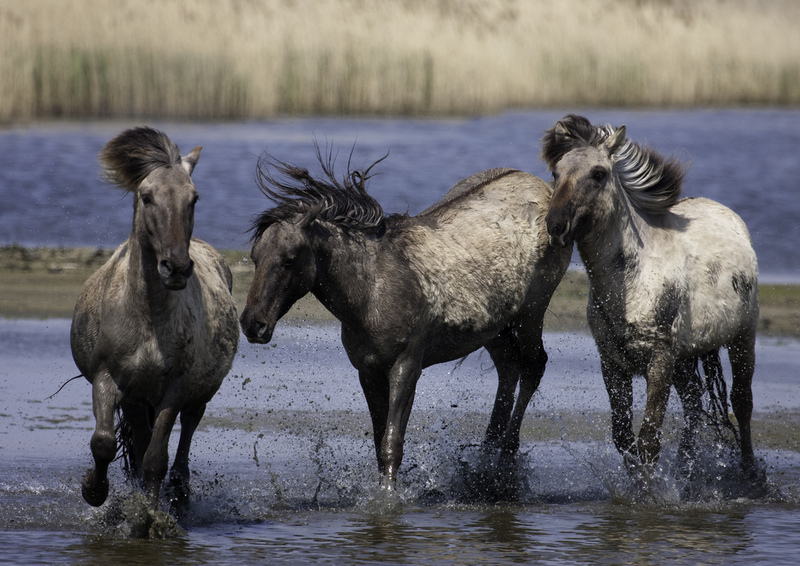 Conservation grazing projects throughout Europe have used Konik horses for wetland grazing projects. The new foal is the first of the wild horses to be born this year and is thought to herald the arrival of spring at the wildlife park. The filly was born last week and has already been spotted practising running around her enclosure. Konik foals are able to stand as early as an hour after birth and start walking and running soon after in order to keep up with the herd. The foal will be weaned at around two months and will be eating grass with the rest of the herd by the time she is five months old. At present, most of the trust’s herd are grazing at nature reserves around the county. Wildwood Trust runs Woodland Discovery Park, a visitor attraction which forms part of their strategy to save native and once-native wildlife from extinction. A north-east nature reserve has recruited a herd of rare horses to help improve its wetland habitats. It is hoped the eight konik foals will help the conservation work being done at the RSPB’s Loch of Strathbeg site, near Crimond in Buchan, through their natural grazing. Hardier than their domestic cousins, the horses can cope in harsh climates and forage in the wild. Experts say their ability to graze on coarser grass, sedges and rushes can also help boost biodiversity. “Koniks love eating rank tussocky vegetation and we have lots of it at Strathbeg. Mr Funnell said the horses’ arrival would also be welcomed by the many species of birds that call the loch home. “It’s great news for the geese, swans, ducks and wading birds, like lapwings and curlew, which need wetlands to feed and breed, and it means we will have more time to concentrate on other conservation work. “These horses will be doing an important job for us, so to make sure they’re not disturbed, they’ll be working on the less public areas of the reserve. Before their arrival in the north-east yesterday, the foals were being cared for by the Canterbury-based conservation charity the Wildwood Trust. The group has already enlisted koniks as part of another conservation grazing project on nature reserves in Kent.